Rome Masters 2013. Yet again we are blessed to be able to witness this amazing rivalry in any sport, another FEDAL final. 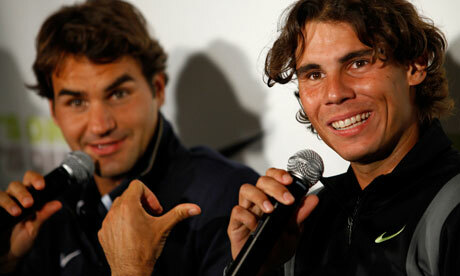 They are currently engaged in a storied rivalry, which many consider to be the greatest in tennis history. "Always it's special to play against Roger, all the history that these matches have already, always for me it's an honor to play against probably the best of the history, always play against him is special, two different styles, that makes the match more interesting"
Nadal has won 12 of their 14 encounters on clay courts. Federer has won 2 out of their 3 meetings on grass courts. They have split their 12 meetings on hardcourts with 6 all.